For interested self-builders, we offer the possibility to purchase a 4 part cellular, sand filled horn as an almost-ready-assembly-kit. 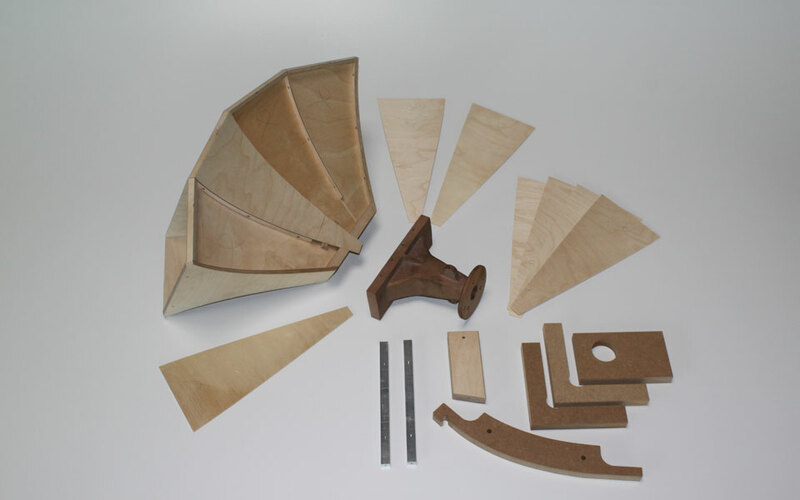 All wooden parts are manufactured precisely, the bronze horn neck is also included. I have been handcrafting the horn 4C-500SF since 1987. Now it is possible to purchase it as a kit with the base framework supplied, so that the geometry is fixed. In the photos you can see the delivery-status and the parts that are still to be glued. 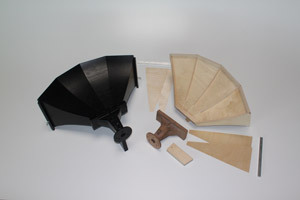 The kit is completed by the assembly aids which are included as well. Varnishing in your favored color can be applied after filling the 11mm thick hollows with dried, fine sand. 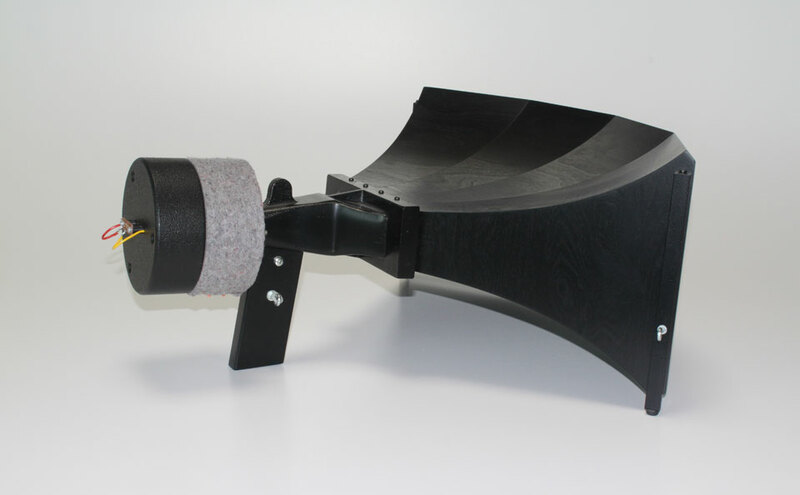 The advantages of our cellular horn will enchant you by the low resonance of the funnel which is achieved through the combination of the used wood and the sand filling. This becomes even clearer compared to common metal funnels. 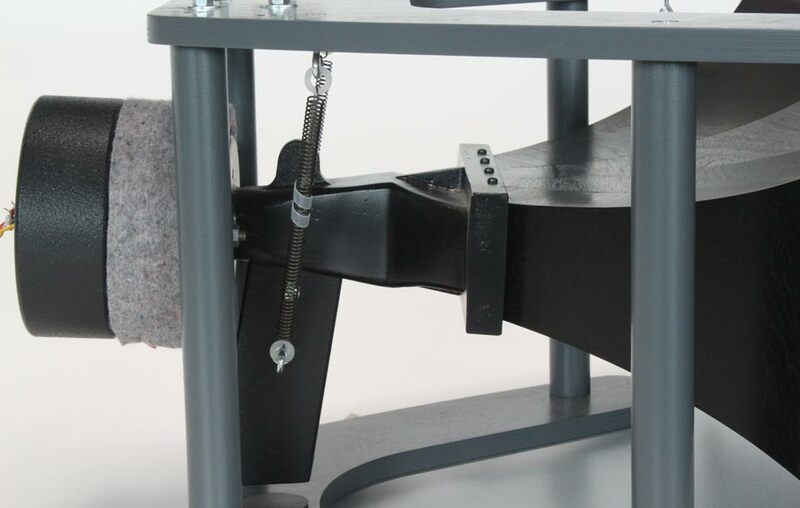 Once completed, the horn is equipped with a 1-inch compression driver. It impresses by an excellent horizontal radiation behavior in a 90° angle. The vertical angle is 40°. The lower cross-over frequency is 500Hz. We have tested and recommend drivers of JBL, Altec and TAD. 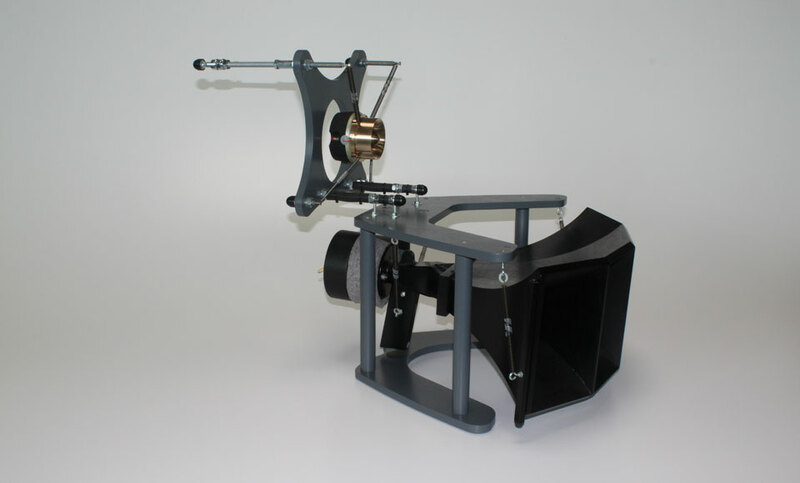 For fastening we suggest our gimbal, which is equipped with spiral tension springs and thereby guarantees an extraordinary decoupling of low frequency influences. 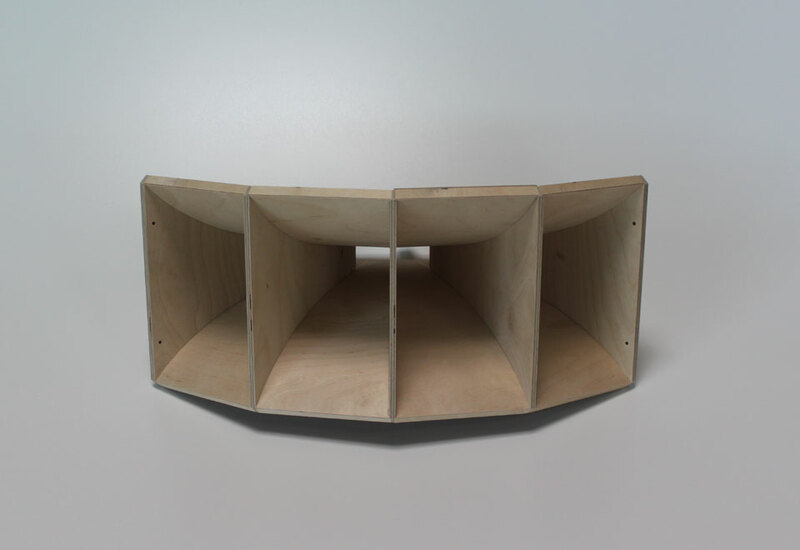 This way, structure-born noise is kept away from woofer casings.